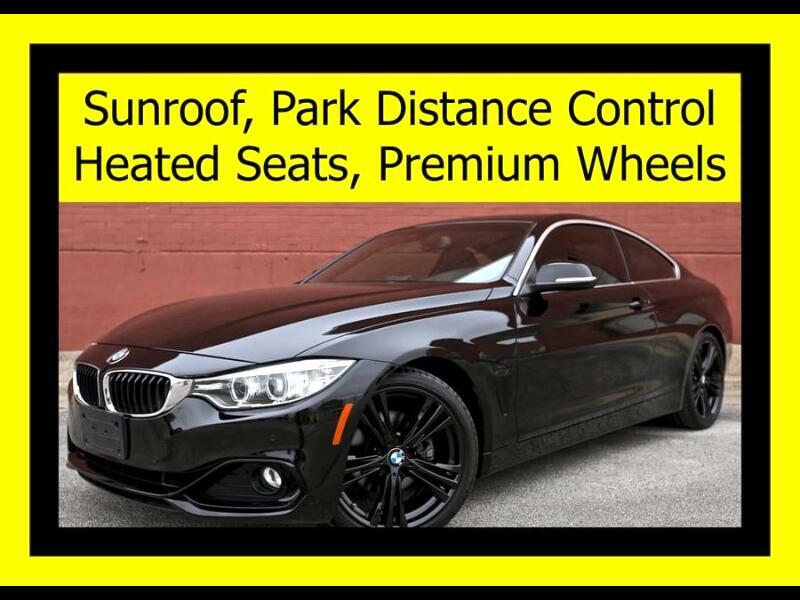 This 428i features: Sunroof, Premium Wheels, Bluetooth, Heated Seats, Front and Rear Park Distance Control, Backup Camera, Push Button Start, LCD Monitor, Dual Zone Automatic Climate Control, Keyless Ignition, Power Seats with Power Lumbar and Driver Memory Functions, Steering Wheel Controls, Tilt-and-Telescoping Steering Wheel, Auxiliary Audio Jack, CD Player, Auto-Dimming Rearview Mirror, Rear Defroster, Speed Sensitive Rain Detecting Windshield Wipers, Cruise Control with Steering Wheel Controls, Dual Stage Driver and Passenger Front and Side Airbags, Tire Pressure Monitor System and Driver Assistance Package. The 428i is guaranteed with the protection of a CarFax Buyback Guarantee and certified with an independent 3rd party inspection from TrueFrame. Email us for a copy of the CarFax which guarantees a clean title, and the TrueFrame certified inspection report. The 428i is under the full BMW manufacturer's warranty through February 2020 or 50,000 total vehicle miles. The BMW warranty automatically transfers to the new owner. A 113,675 mile comprehensive optional extended warranty good at any BMW dealer in the United States through February 2024 is $2,985. This 428i is extremely clean and is in excellent condition inside and out.